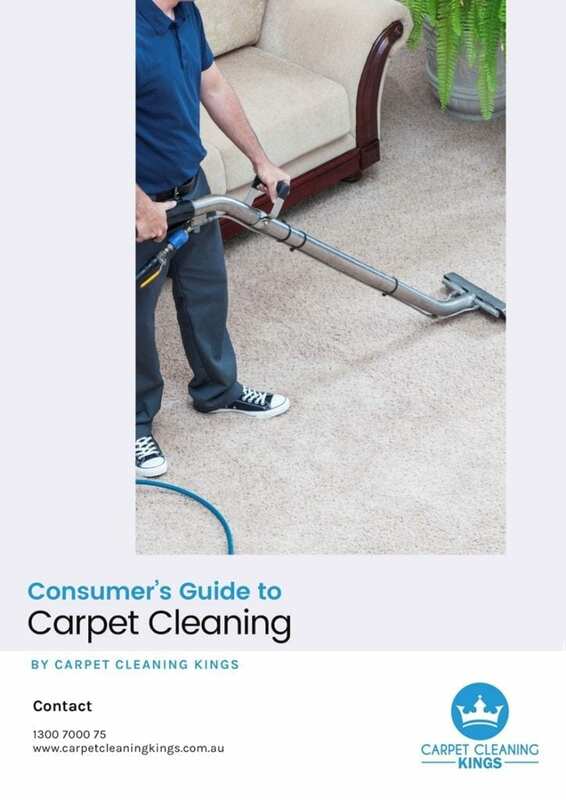 Just like your carpets, furniture is likely to be subjected to a great deal of wear and tear. Mucky hands and feet, food crumbs, pet hair, pet urine, drink spills, pollen and dust from the air, plus a whole host of other contaminants can all turn your pristine furniture into something that looks more shabby than chic. The good news is that most of these issues can be eliminated easily and quickly using a professional cleaning service. With this in mind, here are 4 more benefits. 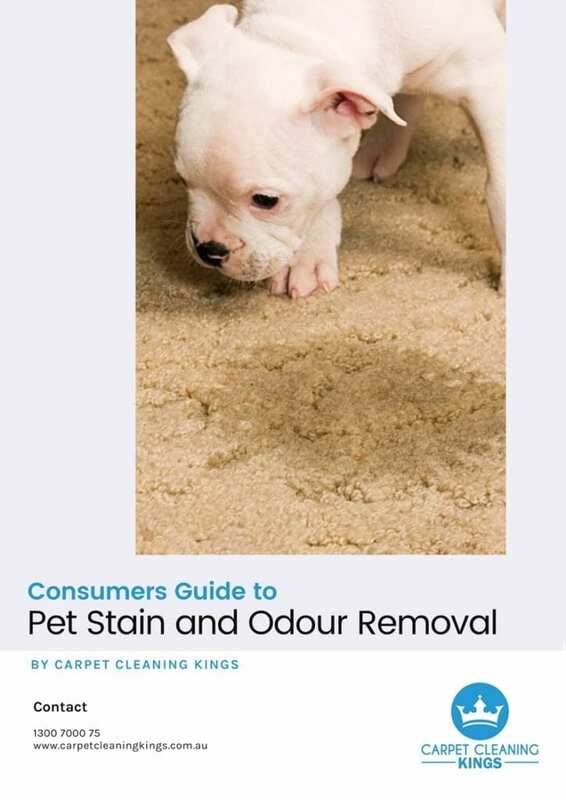 It isn’t just visible stains that get trapped in your furniture, it’s invisible odours too. More often than not, these are going to be very difficult to eradicate with normal cleaning. Of course, you could always apply a liberal dose of air freshener. However, all they tend to do is to mask the musty smell. On the contrary professional upholstery cleaning not only removes the debris you can see but the odours you can’t, leaving your furniture not only looking great but smelling great too. Stains are relatively easy to remove if they’re cleaned up immediately. However, once they’re allowed to seep into the upholstery fibres it can leave a sticky residue which attracts dirt and dust. This, in turn, leaves a dark patch which can really stand out especially on lighter fabrics. A professional upholstery clean has the ability to get deep down clean thus eliminating lengthy stains. Did you know that by having your upholstery regularly and professionally cleaned, you can prolong the life of your furniture? Well it’s true. 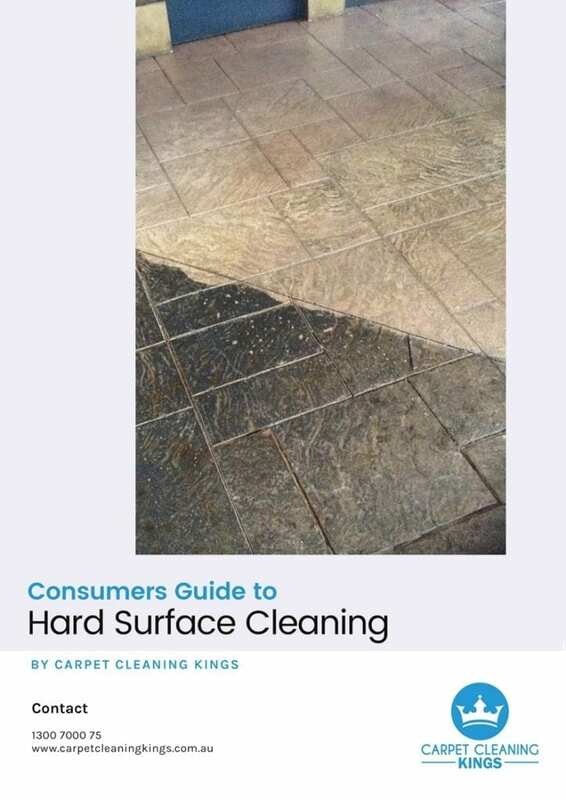 Specks of ground in dirt act like sandpaper and can actually weaken the fibres below causing internal damage. By not allowing those specks of dirt to accumulate there’s a strong chance that you’re going to have a piece of furniture that’s not only going to stay looking like new, but one that will last too. Have you ever fluffed up a cushion on a sunny day and seen all the tiny particles of dust and debris floating about in the room after you’ve done it. These are allergens. Normally they aren’t particularly harmful, but for anyone with asthma, eczema, or breathing problems, or smaller children, they can be if they’re allowed to build up. 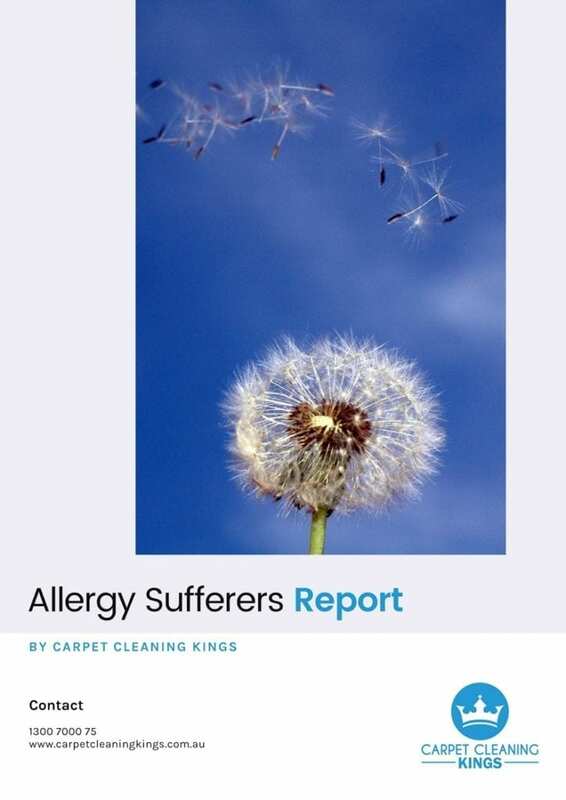 By having your upholstery cleaned regularly you can limit the amount of allergens and particles present in your furniture. How’s that for peace of mind? 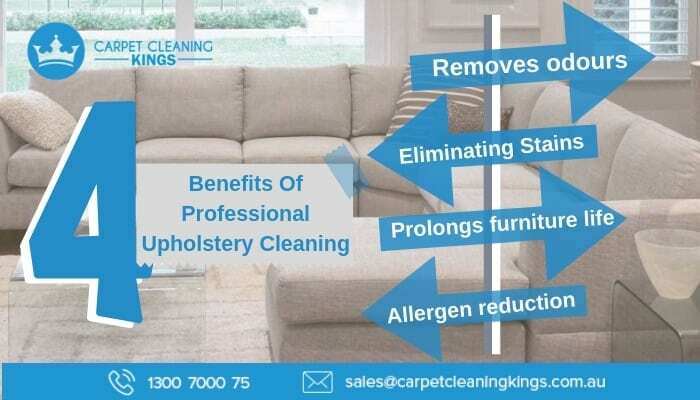 If you’d like to find out more about the benefits of having your upholstery professionally cleaned then you really should speak to Carpet Cleaning Kings. We’ve been in the industry for many years and in addition to cleaning carpets, we also service upholstery. 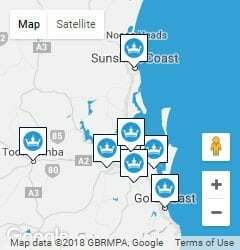 Why not give us a call on 1300 7000 75 for a free no obligation quote and get your favourite sofa looking, feeling, and smelling like new. I agree that upholstery cleaning is a good way to get rid of odors. You want to make sure your furniture is always clean to keep your home smelling clean as well. It’s good to know that nothing will help as much as upholstery cleaning to get rid of any musty smells, like you said. Stains are not something I like having. Maybe I should have my upholstery professionally cleaned. They could probably get the stains out better.